In September this year, the inaugural Global Evidence Summit (GES) took place in Cape Town, South Africa. For three days, 1300 delegates from 75 countries descended onto the shores of Table Bay. It was a prestigious event. World class leaders in research and evidence policy were gathered together by Cochrane, The Campbell Collaboration, Joanna Briggs Institute, Guidelines International Network and the International Society for Evidence Based Health Care; rallied by the sound of beating drums, this vanguard of transformative evidence drove lively discussions around the Summit’s central theme – ‘Using evidence. Improving lives’. The GES plenaries brought outstanding speakers from several sectors beyond just health who shared their long experience in key research and policy positions. Their personal commitment, charisma and strong ethical views have been instrumental in guiding the production and use of evidence in some remarkable examples. As for our own contribution, the PHISICC project introduced a ‘new methods’ approach to evidence creation and use: Human Centred Design. Until now, this approach has hardly featured in public health research despite its successful application in other sectors to improve service design and delivery. 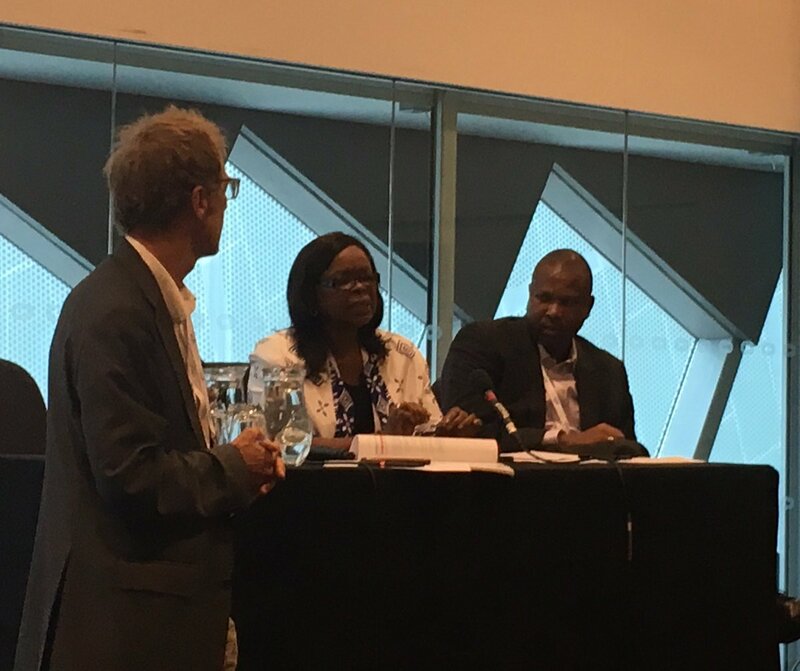 Our co-authors in these presentations included PHISICC team members and Ministries of Health Officials from Côte d’Ivoire, Mozambique and Nigeria, as well as experts in Human Centred Design. Many thanks to the GES for supporting our research and for a wonderful few days in beautiful Cape Town.